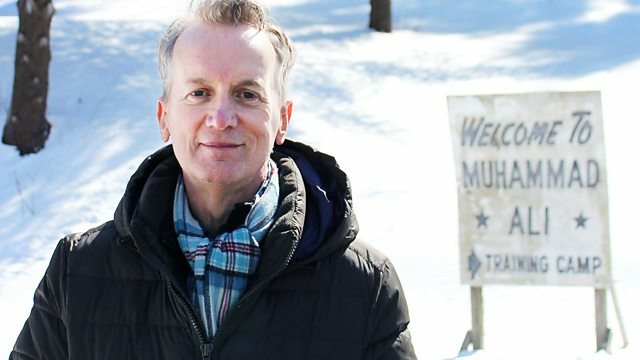 Frank Skinner goes on a journey to explore the life of boxing legend Muhammad Ali, meeting Ali's family and friends and visiting key locations in his life. To discover more about his idol, Frank travels around the UK and US, visiting key locations and people in Ali's life. In Ali's hometown of Louisville, Kentucky, he meets the neighbour who witnessed the teenage boxer's single-minded dedication to his craft. He meets Ali's younger brother Rahaman, a key figure in the boxer's entourage and his closest confidante, and Ali's wife Khalilah, who was alongside Ali during the turbulent years when he was banned from boxing for refusing to fight in Vietnam and which saw him become an icon of the civil rights movement. Frank pays a visit to Ali's training compound in Deer Lake, Pennsylvania, somewhere he has always longed to see. This is where Ali and his team prepared for one of his most famous fights of all time - the Rumble in the Jungle. From Ali's business manager, Gene Kilroy, Frank learns how Ali's unshakeable self-confidence and ability to manipulate the crowd were powerful weapons against his opponent George Foreman. He finds out what it was like behind the scenes in the Ali camp by talking to Ali's old sparring partner and friend Larry Holmes, who later faced him in the ring. Frank also delves into some of the lesser-known aspects of Ali's life, meeting the bare-knuckle boxer from an Oxfordshire council estate who became one of Ali's dearest friends and the actor who played alongside Ali in a little-known musical on Broadway. Fire yourself up for the weekend, even if it's a 'school night'.